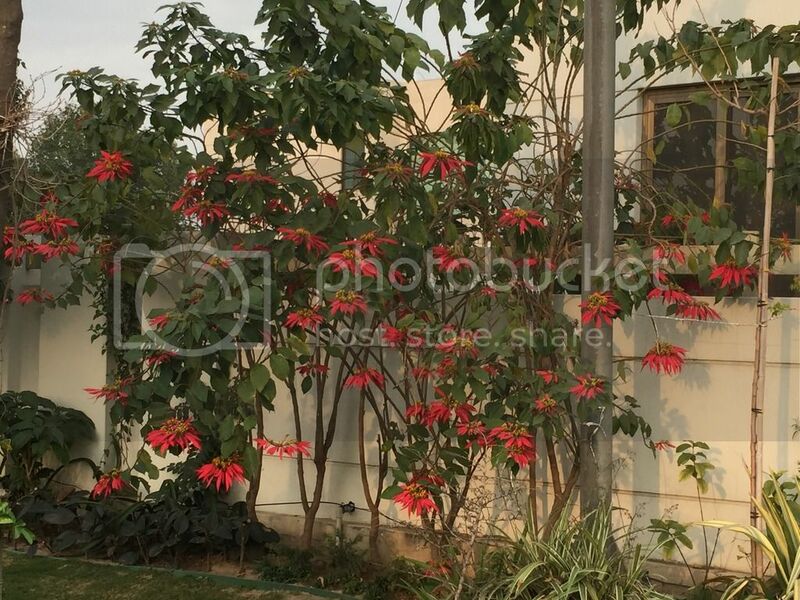 Yesterday, saw these amazing poinsettias growing and thriving in Lahore. 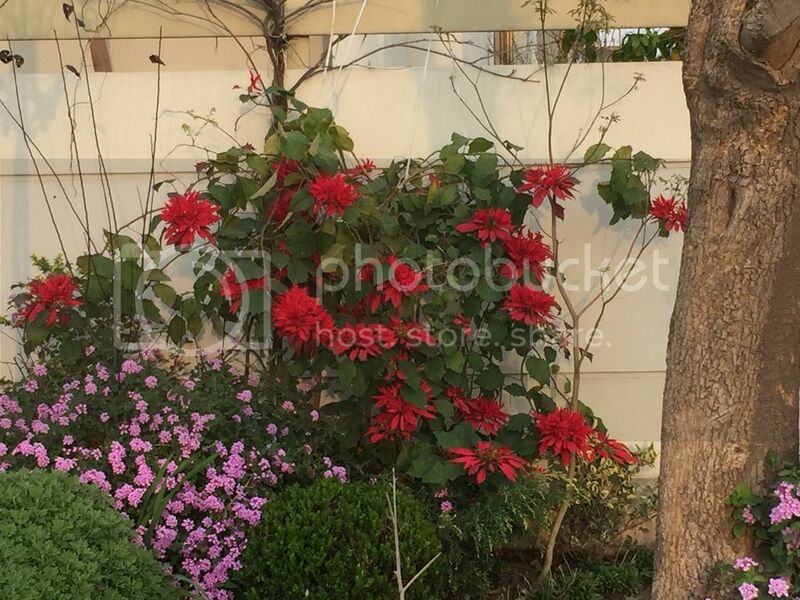 Poinsettias do well in Lahore, perhaps they have gone out of fashion. Muhammad Arif Khan wrote: Poinsettias do well in Lahore, perhaps they have gone out of fashion. 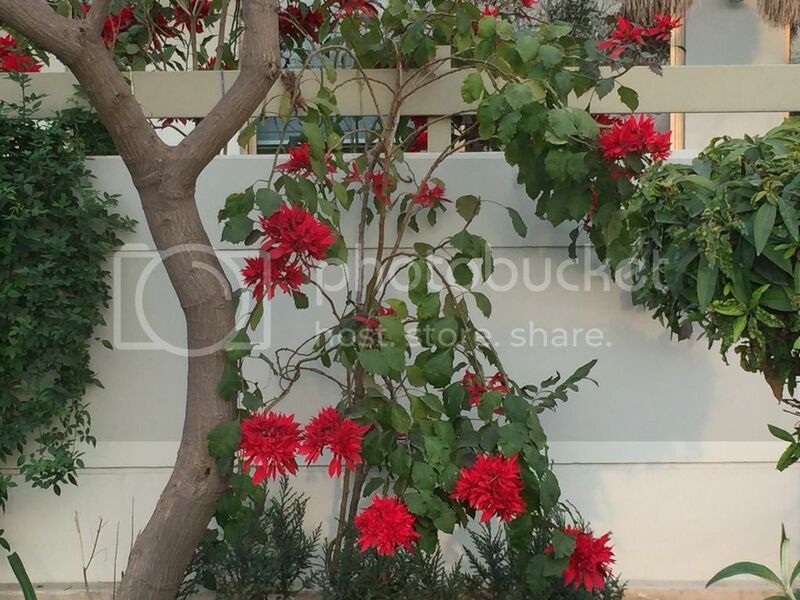 Imported Poinsettia in Pots don't perform well in Lahore and require great effort to re-bloom. Thats why I was thinking how this tree type is performing so well in here. Any logic to that?